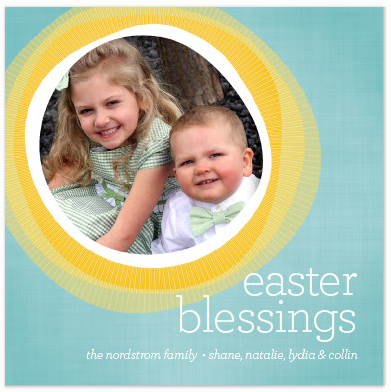 natalie's sentiments: Help me decide on my Minted Easter Cards! Can you believe Easter is only a month away?! This year is flying. 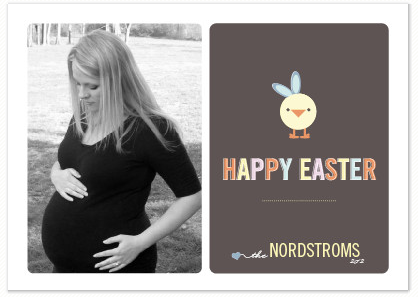 I've been putting up Spring decor and shopping for new Easter clothes for the family. 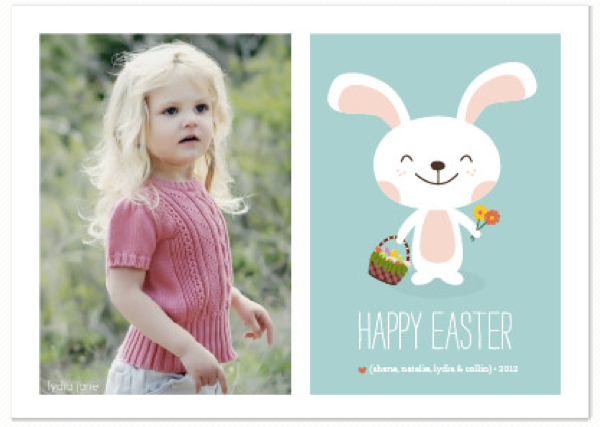 Every year I get several Easter cards from friends and I love them. 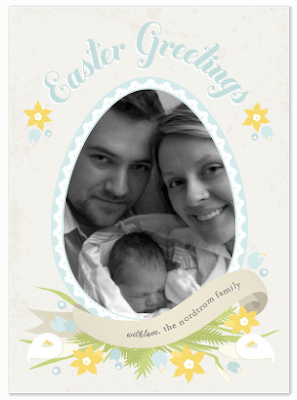 Usually it's from people who choose to send cards during Spring, instead of stressing over Christmas cards. I love getting such an unexpected treat in the mail. 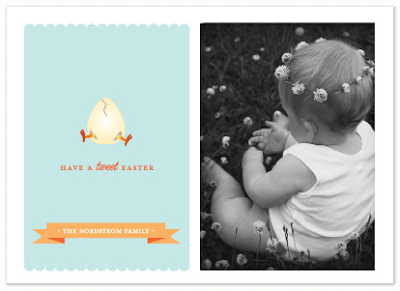 I send Easter cards every once in a while, but I really would like to make more of an effort. 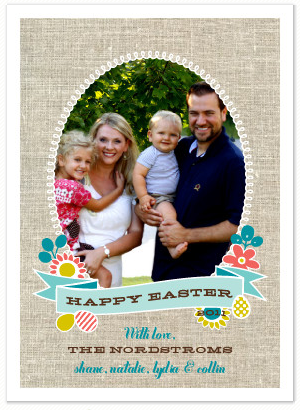 Of course I'm ordering them from Minted. I LOVE Minted's Easter cards. They are classic and soft for the season, but always the height of style. 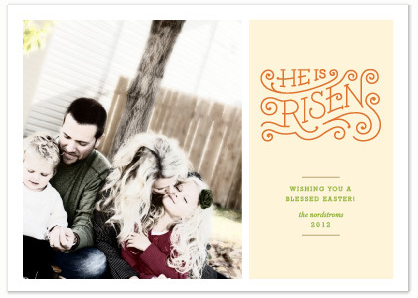 My Christmas cards turned out amazing last year, mostly due to the help of my Minted designer. They make sure your card is exactly how you want it, and you have a lot of play with fonts and colors. I got tons of compliments. I still have it framed and up in my house. so I tested out several designs with some "vintage" shots. What a perfect way to do a birth announcement! 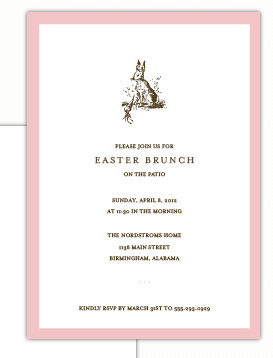 Ok, not a card, but these Easter invites are beautiful. Makes me want so bust out some scones and clotted cream. They are all so perfect, I can't decide! Which Minted card would you pick? 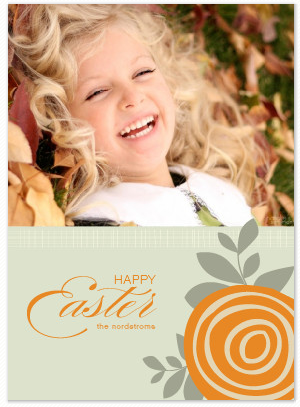 The "He has Risen" is wonderfully in tune with the season. You'll pick the right one. 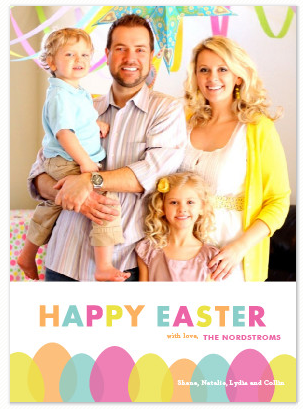 Are you changing the family name back to Nordstrom? THe first and the last one are my favorites! I like the first one, very cute. Love the Easter Joy card! So classic and cute! I love the first one. 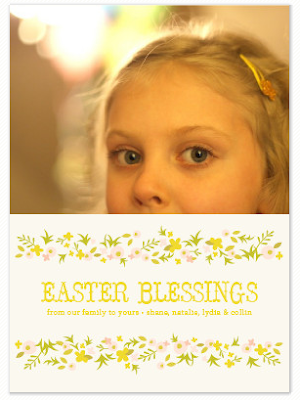 The colors are so cheery, and that photo seems made for that card. You have a gorgeous family! I love the first one, and I wouldn't even change the picture! The colors and streamers in the back are perfect with it.